Fabric-reinforced diaphragms utilize a layer of an engineered fabric material as part of the diaphragm construction. This layer of fabric give tremendous design flexibility. A very thin-walled diaphragm can withstand high pressures while remaining very flexible and responsive to minor pressure variations. 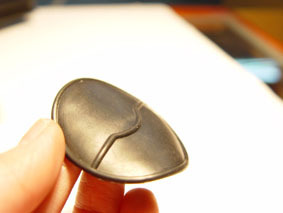 All types of elastomers, such as, nitrile, EPDM, fluorocarbon, neoprene, silicone, fluorosilicone, can be used in the fabric-reinforced diaphragms.